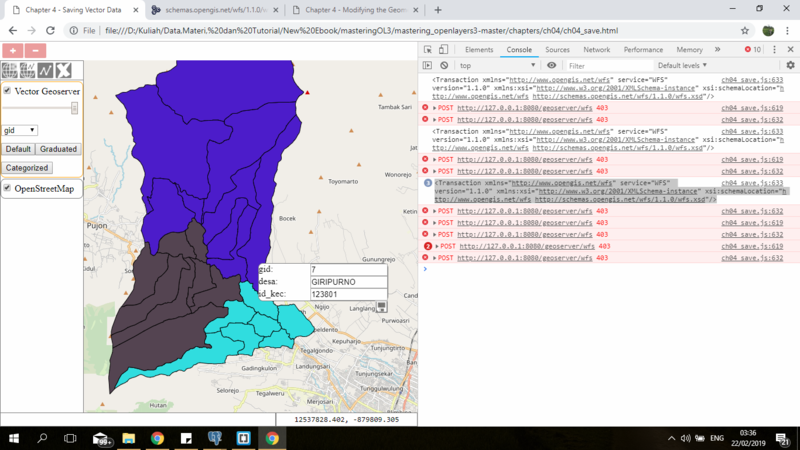 I am having difficulty understanding the topic when it comes to XML generated from GeoServer and how can we interact with it. I want to to implement WFS transaction service and updating my attributes via web browser. But still I got error and I have no idea how to fix it. What am I doing wrong or what is missing? Browse other questions tagged geoserver openlayers wfs-t or ask your own question.